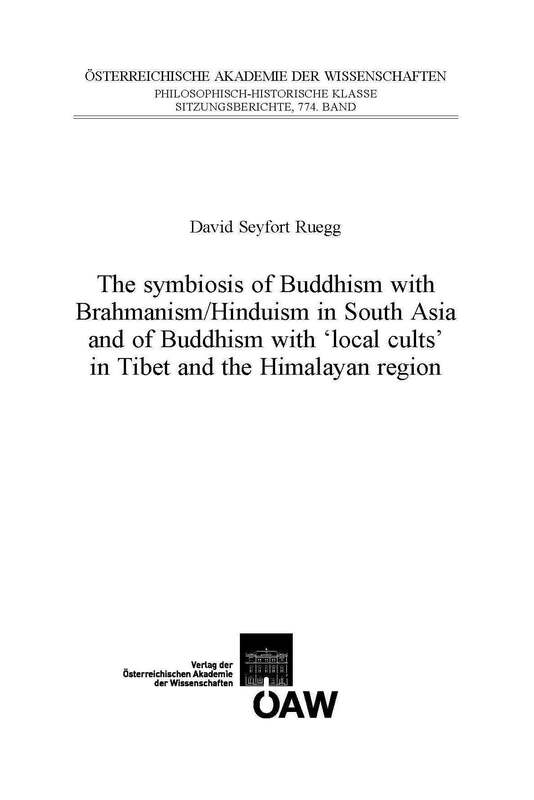 This book is concerned with the complex and indeed difficult question of the relationship between Buddhism and Brahmanism/Hinduism (Vedism, Shivaism, Vishnuism, etc.) in India, and between Buddhism and local religious cults in Tibet and certain other parts of the Buddhist world including Japan. Although they are clearly not identical twins brought forth by the Indian religious soil, Buddhism and Brahmanism/Hinduism are closely related siblings. Thus, questions arise concerning the function and significance of the so-called "Hindu" gods and godlings as they appear in substantial parts of the Buddhist tradition, as well as the traditional "local" divinities in other Buddhist lands. In this connection, borrowing and syncretism have often been referred to by writers on the subject. But in fact these religious interrelationships appear to be considerably more complicated and interesting than this: in much of Buddhist thought they possess both salvific (soteriological) and gnoseological implications. The concept of symbiosis seems relevant here as it expresses these special interrelationships more adequately. In addition, other concepts, both etic and emic, are considered in this context. In Buddhist thought, the structurally opposed yet complementary emix concepts of the "mundane" (or "worldly") and the "supramundane"(or "transmundane") have often defined the religious relationship under discussion. Therefore, in this volume this pair of categories is explored – the laukika and the lokottrara, or the 'jig rten pa and the 'jig rten las 'das pas, as they are respectively referred to in the traditions of India and Tibet – drawing on a number of Indian and Tibetan sources.